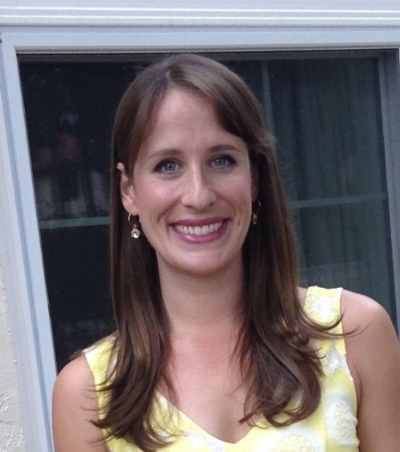 We are thrilled to announce that we have a new lactation consultant on staff at SDBFC! Sophie Talke is an IBCLC and Registered and Licensed Occupational Therapist. She brings a wealth of knowledge working with children and their families, as well as personal breastfeeding experience. Welcome to the SDBFC family, Sophie! I am originally from the Bay Area in Northern California. I moved down to San Diego for college where I attended the University of California, San Diego and received a Bachelors of Science in Biology. I swam competitively during my four years at UCSD on their swim team. I fell in love with the San Diego area. The warm weather, beaches, and active lifestyle could not be beat! A couple of years later, I decided to go to graduate school for Occupational Therapy. I completed my Masters degree at the University of Southern California in Los Angeles. I moved back down to San Diego as soon I was finished. Several years later, I met my husband, Kurt, and we got married in beautiful Lake Tahoe. We now have an amazing 20-month-old son, Jacob, who is the light in our lives. He is full of joy and energy, and it has been so much fun watching him grow and learn everyday. We are a very active family and love to spend time outdoors. We run, hike, bike, swim, and love to travel together as a family. We recently got back from an amazing trip to Spain and cannot wait to plan another adventure soon! After working in the occupational therapy field for over 8 years, I knew that I was still searching for the right fit and a specific area in which to specialize. I have always been drawn to the health field because I enjoy helping people and making a difference in their lives. I pursued lactation consulting before ever having a child of my own. It was through watching close friends and family members struggle with breastfeeding that I became interested in the field. This specialty was so intriguing, and I knew that it was going to be the perfect fit for me! Becoming a lactation consultant has personally helped me so much with my own breastfeeding journey with my son. I am excited to be able to work with mothers and babies while sharing my knowledge and experience with them. I am so excited to be a part of this amazing team! All of the IBCLCs are so caring, knowledgeable, and gifted at helping others become successful in their individual breastfeeding journeys. I have had multiple friends receive wonderful care through SDBFC, and they have been able to breastfeed despite various challenges. I am excited to be able to offer this same quality care to all of the families that I encounter along the way. Do not be afraid to ask for help! There is no shame in seeking help from others along the way, whether it is with breastfeeding or in any other area of your life. Keep an open mind and enjoy the journey ☺ Everyone’s journey is different, and that is okay! Remember that it is just a phase and you will get through it! Challenges may occur along the way, but you can and will persevere. You will come out the other end as a stronger person!